The ties that bind~Three kingdoms meet and are now remembered here: The Kingdom of God on Earth, The Kingdom of England, and now, for our new Saints Pope John XXIII and Pope John Paul II, the Kingdom of Heaven Above. 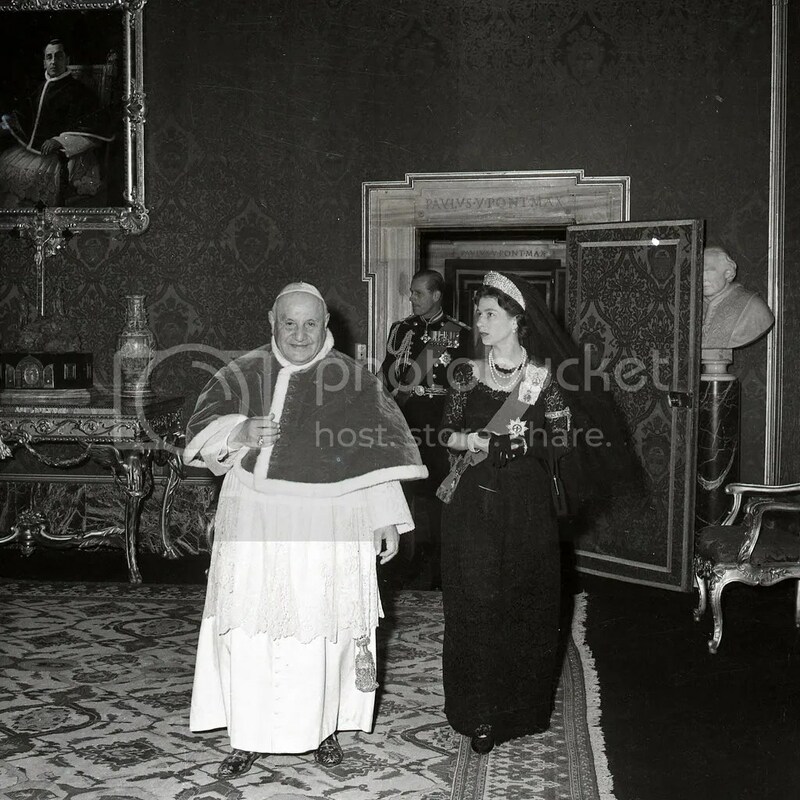 Her Majesty pays a State Visit to the Vatican City, calling on Pope John XXIII. UPI photograph. All due rights ceded here. The Associated Press: All due rights ceded here. 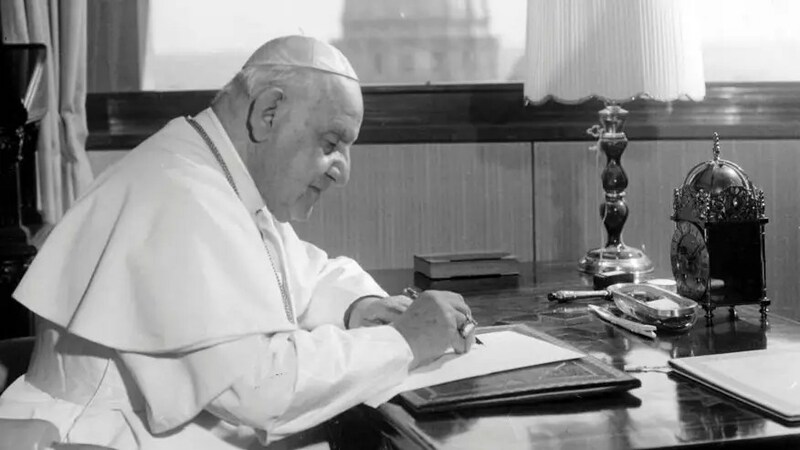 When on October 20, 1958 the cardinals, assembled in conclave, elected Angelo Roncalli as pope many regarded him, because of his age and ambiguous reputation, as a transitional pope, little realizing that the pontificate of this man of 76 years would mark a turning point in history and initiate a new age for the Church. He took the name of John in honor of the precursor and the beloved disciple—but also because it was the name of a long line of popes whose pontificates had been short. Angelo Giuseppe Roncalli, the third of thirteen children, was born on November 25, 1881 at Sotto il Monte (Bergamo) of a family of sharecroppers. He attended elementary school in the town, was tutored by a priest of Carvico, and at the age of twelve entered the seminary at Bergamo. A scholarship from the Cerasoli Foundation (1901) enabled him to go on to the Apollinaris in Rome where he studied under (among others) Umberto Benigni, the Church historian. He interrupted his studies for service in the Italian Army but returned to the seminary, completed his work for a doctorate in theology, and was ordained in 1904. Continuing his studies in canon law he was appointed secretary to the new bishop of Bergamo, Giacomo Radini-Tedeschi. Angelo served this social-minded prelate for nine years, acquiring first-hand experience and a broad understanding of the problems of the working class. He also taught apologetics, church history, and patrology. With the entry of Italy into World War I in 1915 he was recalled to military service as a chaplain. On leaving the service in 1918 he was appointed spiritual director of the seminary, but found time to open a hostel for students in Bergamo. It was at this time also that he began the research for a multi-volume work on the episcopal visitation of Bergamo by St. Charles Borromeo, the last volume of which was published after his elevation as pope. In 1921 he was called to Rome to reorganize the Society for the Propagation of the Faith. Nominated titular archbishop of Areopolis and apostolic visitator to Bulgaria (1925), he immediately concerned himself with the problems of the Eastern Churches. Transferred in 1934 to Turkey and Greece as apostolic delegate, he set up an office in Istanbul for locating prisoners of war. In 1944 he was appointed nuncio to Paris to assist in the Church’s post-war efforts in France, and became the first permanent observer of the Holy See at UNESCO, addressing its sixth and seventh general assemblies in 1951 and 1952. In 1953 he became cardinal-patriarch of Venice, and expected to spend his last years there in pastoral work. He was correcting proofs of the synodal Acts of his first diocesan Synod (1958) when he was called to Rome to participate in the conclave that elected him pope. In his first public address Pope John expressed his concern for reunion with separated Christians and for world peace. In his coronation address he asserted “vigorously and sincerely” that it was his intention to be a pastoral pope since “all other human gifts and accomplishments—learning, practical experience, diplomatic finesse—can broaden and enrich pastoral work but they cannot replace it.” One of his first acts was to annul the regulation of Sixtus IV limiting the membership of the College of Cardinals to 70; within the next four years he enlarged it to 87 with the largest international representation in history. Less than three months after his election he announced that he would hold a diocesan synod for Rome, convoke an ecumenical council for the universal Church, and revise the Code of Canon Law. The synod, the first in the history of Rome, was held in 1960; Vatican Council II was convoked in 1962; and the Pontifical Commission for the Revision of the Code was appointed in 1963. His progressive encyclical, Mater et Magistra, was issued in 1961 to commemorate the anniversary of Leo XIII’s Rerum novarum. Pacem in terris, advocating human freedom and dignity as the basis for world order and peace, came out in 1963. He elevated the Pontifical Commission for Cinema, Radio, and Television to curial status, approved a new code of rubrics for the Breviary and Missal, made notable advances in ecumenical relations by creating a new Secretariat for Promoting Christian Unity and by appointing the first representative to the Assembly of the World Council of Churches held in New Delhi (1961). In 1960 he consecrated fourteen bishops for Asia, Africa, and Oceania. The International Balzan Foundation awarded him its Peace Prize in 1962. Vatican Archives: All rights here ceded here. 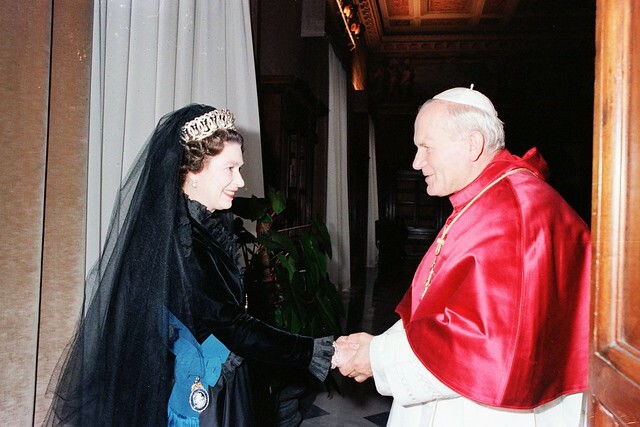 Her Majesty The Queen Elizabeth II and His Royal Highness The Duke of Edinburgh were received in private Audience by His Holiness Pope John Paul II on 17 October 1980. Photo: ©Fotografia Felici. All due rights ceded here. 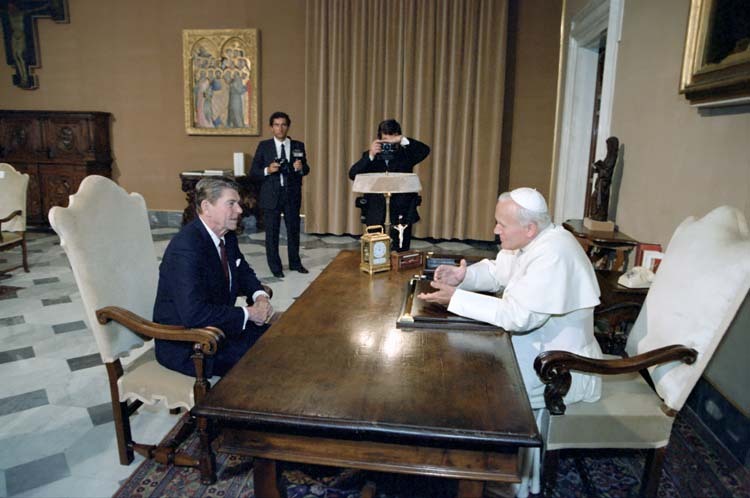 President Ronald Reagan visits Pope John Paul II at the Vatican in 1982. Photo via Reagan Library: All due rights ceded here. Karol Józef Wojtyła, known as John Paul II since his October 1978 election to the papacy, was born in the Polish town of Wadowice, a small city 50 kilometers from Krakow, on May 18, 1920. He was the youngest of three children born to Karol Wojtyła and Emilia Kaczorowska. His mother died in 1929. His eldest brother Edmund, a doctor, died in 1932 and his father, a non-commissioned army officer died in 1941. A sister, Olga, had died before he was born. He was baptized on June 20, 1920 in the parish church of Wadowice by Fr. Franciszek Zak, made his First Holy Communion at age 9 and was confirmed at 18. Upon graduation from Marcin Wadowita high school in Wadowice, he enrolled in Krakow’s Jagiellonian University in 1938 and in a school for drama. In 1942, aware of his call to the priesthood, he began courses in the clandestine seminary of Krakow, run by Cardinal Adam Stefan Sapieha, archbishop of Krakow. At the same time, Karol Wojtyła was one of the pioneers of the “Rhapsodic Theatre,” also clandestine. After the Second World War, he continued his studies in the major seminary of Krakow, once it had re-opened, and in the faculty of theology of the Jagiellonian University. He was ordained to the priesthood by Archbishop Sapieha in Krakow on November 1, 1946. Shortly afterwards, Cardinal Sapieha sent him to Rome where he worked under the guidance of the French Dominican, Garrigou-Lagrange. He finished his doctorate in theology in 1948 with a thesis on the subject of faith in the works of St. John of the Cross (Doctrina de fide apud Sanctum Ioannem a Cruce). At that time, during his vacations, he exercised his pastoral ministry among the Polish immigrants of France, Belgium and Holland. In 1948 he returned to Poland and was vicar of various parishes in Krakow as well as chaplain to university students. This period lasted until 1951 when he again took up his studies in philosophy and theology. In 1953 he defended a thesis on “evaluation of the possibility of founding a Catholic ethic on the ethical system of Max Scheler” at Lublin Catholic University. Later he became professor of moral theology and social ethics in the major seminary of Krakow and in the Faculty of Theology of Lublin. On July 4, 1958, he was appointed titular bishop of Ombi and auxiliary of Krakow by Pope Pius XII, and was consecrated September 28, 1958, in Wawel Cathedral, Krakow, by Archbishop Eugeniusz Baziak. On January 13, 1964, he was appointed archbishop of Krakow by Pope Paul VI, who made him a cardinal June 26, 1967 with the title of S. Cesareo in Palatio of the order of deacons, later elevated pro illa vice to the order of priests. Besides taking part in Vatican Council II (1962-1965) where he made an important contribution to drafting the Constitution Gaudium et spes, Cardinal Wojtyła participated in all the assemblies of the Synod of Bishops. The Cardinals elected him Pope at the Conclave of 16 October 1978, and he took the name of John Paul II. On 22 October, the Lord’s Day, he solemnly inaugurated his Petrine ministry as the 263rd successor to the Apostle. His pontificate, one of the longest in the history of the Church, lasted nearly 27 years. Driven by his pastoral solicitude for all Churches and by a sense of openness and charity to the entire human race, John Paul II exercised the Petrine ministry with a tireless missionary spirit, dedicating it all his energy. He made 104 pastoral visits outside Italy and 146 within Italy. As bishop of Rome he visited 317 of the city’s 333 parishes. He had more meetings than any of his predecessors with the People of God and the leaders of Nations. More than 17,600,000 pilgrims participated in the General Audiences held on Wednesdays (more than 1160), not counting other special audiences and religious ceremonies [more than 8 million pilgrims during the Great Jubilee of the Year 2000 alone], and the millions of faithful he met during pastoral visits in Italy and throughout the world. We must also remember the numerous government personalities he encountered during 38 official visits, 738 audiences and meetings held with Heads of State, and 246 audiences and meetings with Prime Ministers. His love for young people brought him to establish the World Youth Days. The 19 WYDs celebrated during his pontificate brought together millions of young people from all over the world. At the same time his care for the family was expressed in the World Meetings of Families, which he initiated in 1994. John Paul II successfully encouraged dialogue with the Jews and with the representatives of other religions, whom he several times invited to prayer meetings for peace, especially in Assisi. Under his guidance the Church prepared herself for the third millennium and celebrated the Great Jubilee of the year 2000 in accordance with the instructions given in the Apostolic Letter Tertio Millennio adveniente. The Church then faced the new epoch, receiving his instructions in the Apostolic Letter Novo Millennio ineunte, in which he indicated to the faithful their future path. With the Year of the Redemption, the Marian Year and the Year of the Eucharist, he promoted the spiritual renewal of the Church. He gave an extraordinary impetus to Canonizations and Beatifications, focusing on countless examples of holiness as an incentive for the people of our time. He celebrated 147 beatification ceremonies during which he proclaimed 1,338 Blesseds; and 51 canonizations for a total of 482 saints. He made Thérèse of the Child Jesus a Doctor of the Church. 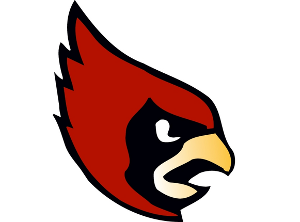 He considerably expanded the College of Cardinals, creating 231 Cardinals (plus one in pectore) in 9 consistories. He also called six full meetings of the College of Cardinals. He organized 15 Assemblies of the Synod of Bishops – six Ordinary General Assemblies (1980, 1983, 1987, 1990, 1994 and 2001), one Extraordinary General Assembly (1985) and eight Special Assemblies (1980,1991, 1994, 1995, 1997, 1998 (2) and 1999). His most important Documents include 14 Encyclicals, 15 Apostolic Exhortations, 11 Apostolic Constitutions, 45 Apostolic Letters. As a private Doctor he also published five books of his own: “Crossing the Threshold of Hope” (October 1994), “Gift and Mystery, on the fiftieth anniversary of my ordination as priest” (November 1996), “Roman Triptych” poetic meditations (March 2003), “Arise, Let us Be Going” (May 2004) and “Memory and Identity” (February 2005). In the light of Christ risen from the dead, on 2 April a.D. 2005, at 9.37 p.m., while Saturday was drawing to a close and the Lord’s Day was already beginning, the Octave of Easter and Divine Mercy Sunday, the Church’s beloved Pastor, John Paul II, departed this world for the Father. From that evening until April 8, date of the funeral of the late Pontiff, more than three million pilgrims came to Rome to pay homage to the mortal remains of the Pope. Some of them queued up to 24 hours to enter St. Peter’s Basilica. On April 28, the Holy Father Benedict XVI announced that the normal five-year waiting period before beginning the cause of beatification and canonization would be waived for John Paul II. The cause was officially opened by Cardinal Camillo Ruini, vicar general for the diocese of Rome, on June 28, 2005. Holy See Archives photograph: All due rights ceded here. We welcome our new Saints and pray to them that they intercede for us to The Virgin and Her Son and ask that They, in turn, look out with all best favor upon our terribly troubled world and guide us, each and every one of us, safely home to them.